After doing a small version of this for a craft show, I liked it so much that I decided to do a larger one, which gave me the chance to add more grass to the background. 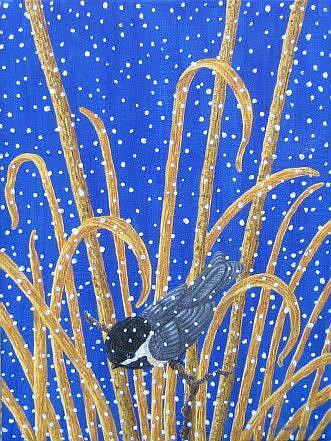 It felt like I'd gotten carried away with the snowflakes, though in this one, hence the name. 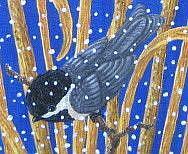 It's a black-capped chickadee in the midst of an early snow flurry.